Both D start at the same time. 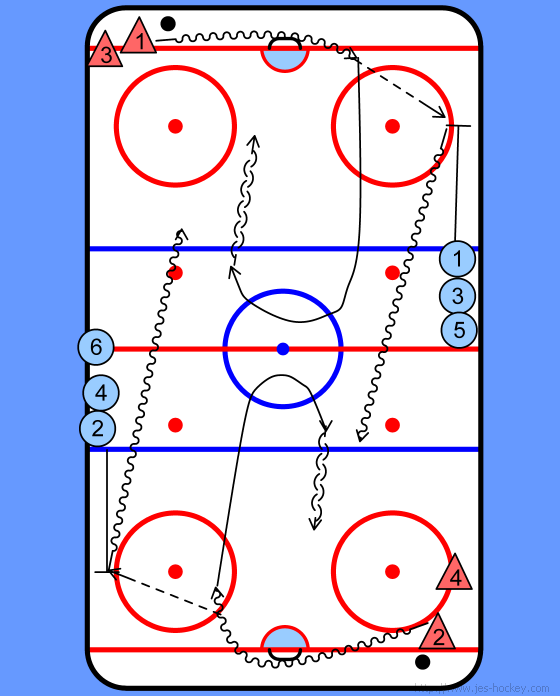 Forwards start at the same time as D and skate to their breakout position at the hash marks. D's carry puck around the net then make a breakout pass to forward. After pass D gap up to Neutral zone and transition to backwards for a one v one with forward coming from opposite end.